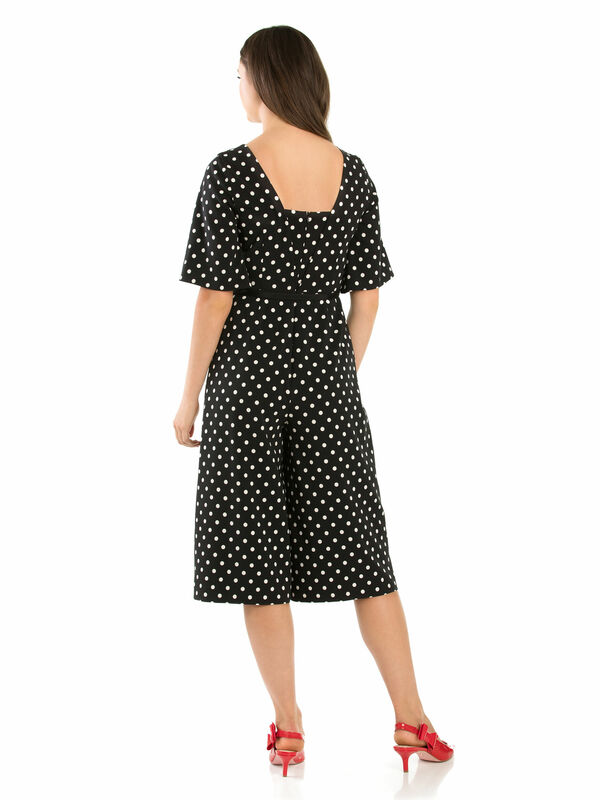 Wilder Jumpsuit https://www.review-australia.com/asia/wilder-jumpsuit-black-cream/RE19DR440.REBLK009.html Make a statement with this playful polka dot Wilder Jumpsuit. 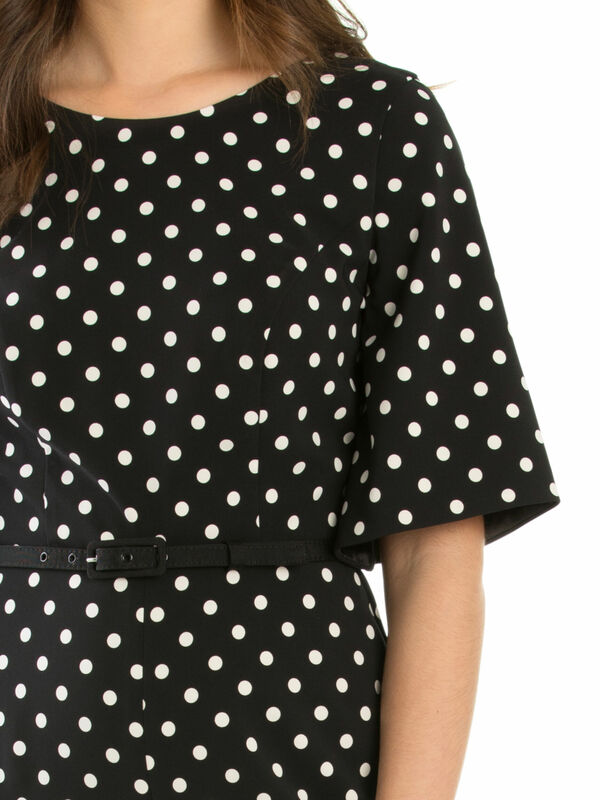 Featuring a cinched belted waist for a flattering fit and a square shaped back. 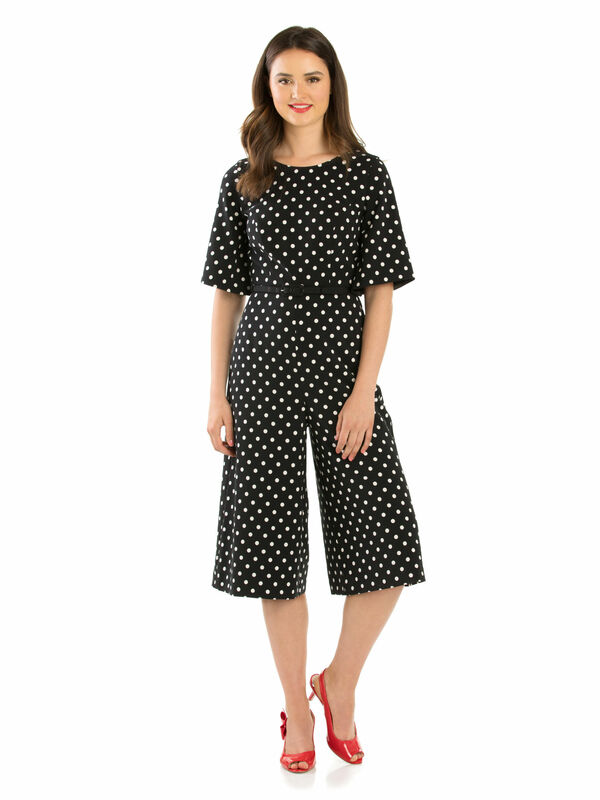 With elbow length flared sleeves and a wide, knee length cullotte-style bottom, this modern piece can be worn with sandals for a day-tip to the park, or dressed up with a pair of heels for a night out.